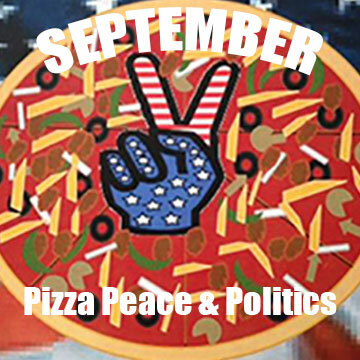 We hope you can make it to Pizza, Peace and Politics on Tuesday, September 25th at 6p.m. to learn about Ballot Issue One! Attorney Jess Mallet will be there to lead the discussion. This amendment asks voters to approve changes to four parts of Arkansas Constitution. We will be at US Pizza in Hillcrest as usual. There are more organizations and individuals out there that are doing great work for peace. Click here to see our recommended list. Membership is $50 per year. Student memberships are just $5. We love donations in any amount, and accept PayPal and major credit cards. For a $25 donation, we will send you one of our t-shirts pictured here. Copyright © 2019 Arkansas WAND. Theme: Himalayas by ThemeGrill. Powered by WordPress.